As a petite woman I normally shy away from prints that are oversized as they can overwhelm my small frame. I’m like a moth to a flame when I see crazy oversized prints. I saw this dress almost two months ago in the consignment store and loved it then. It was too large and pricey so I walked away. I was surprised when I returned recently to find it still there and reduced by 50%. The dress had waited patiently for my return. The artsy print reminds me of a Salvador Dalí painting. What is more fabulous than wearing a painting? 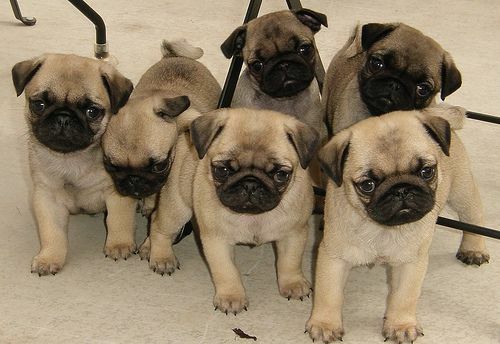 but come on guys, I couldn’t hold a whole litter of baby pugs. This is another one of those tent or A-line dresses that I normally steer clear of as it can add visual weight to my body but the artsy print persuaded me to look past that. I took the dress up through the shoulders which helped reduce the size of the arm holes. It made it a little bit shorter, which I might regret come spring, (which has yet to show up here BTW…we had a blizzard on Sunday!) but for now it is perfect with some dark tights. If need be I can simply rip out the stitches come Spring. I didn’t cut any of the dress. It was a quick fix rather than taking it in down the side seams. When it comes to sewing I’m gifted lazy like that. I’ve layered a cardigan under for some much needed warmth on the arms. Someone get Mother Nature on the phone STAT. Snow in April should be illegal. The person that brought this dress to the consignment store cut out all the labels. Including the one that tells me how to clean the garment. I friggin’ hate it when people do that! Now it’s a guessing game as to how I should be washing this. It had better not be another issue like I had here. Once was more than enough. Wearing heels and tights creating one long lean lower line helps to minimize the tent-like properties of this dress. Wear some kind of heel and strut around like you own the place. Confident people can wear whatever the heck they want. I adore purple and grey together. This old purple leather jacket is a favourite of mine. Grey is a wonderful option as it isn’t as harsh as black. The subtle pattern on this dress creates lush visual texture and the neutral colour works with everything I own. This dress would be an option to consider instead of your typical LBD. The tone on tone pattern adds personality. Here is me doing my best “pro model” pose to show you the dress has pockets. It only took me 8 years to master that pose. Did I ever mention that before I had my blog I was intensely camera shy? I despised photos of myself. As soon as the camera came out my body and facial muscles would stiffen. My photos looked like mug shots of serial killers. I avoided having my photo taken as much as possible prior to my blog. Style blogging has taught me to relax a bit more in front of the camera. I was a bit like Chandler from Friends. To this day there are years in my life where no photos were taken. Unlike today’s “selfie” obsessed generation the non existence of photos with “likes” didn’t measure my self worth. I fear for the young girls that are growing up with the added pressure of social media influencing their internal dialog. I have no sweet segueway back to the dress so we’ll just jump back shall we? 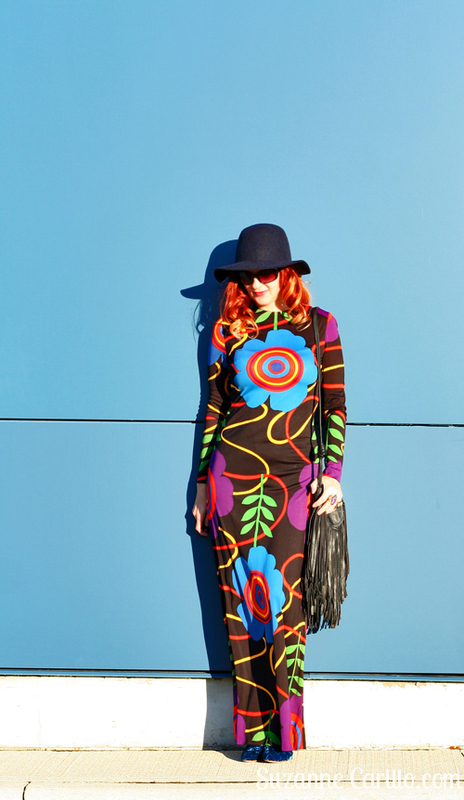 Don’t forget to enter for your chance to win your own Karina dress. Tomorrow I have one more outfit to share. 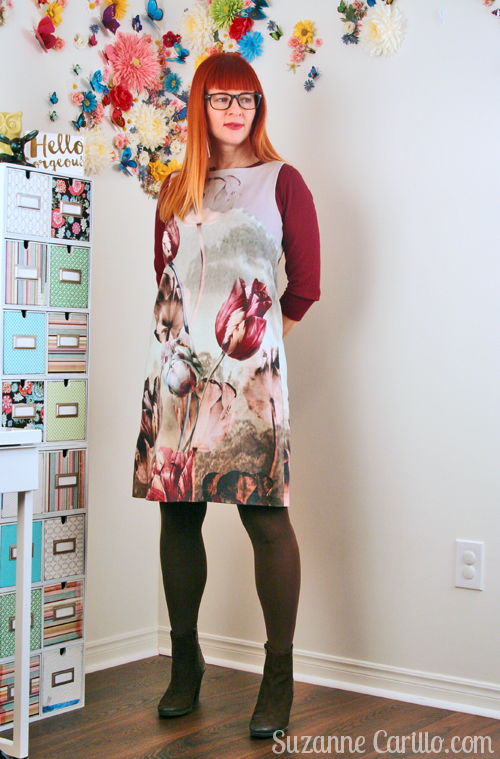 You might like to see how I styled another Karina dress for the summer.